The Atlanta Braves and St. Louis Cardinals have agreed to swap Jason Hayward for Shelby Miller. The trade seems to be a reaction to the recent death of Oscar Taveras, the Cardinals blue chip prospect who passed away earlier this fall in a car accident. Hayward has not lived up to the hype, but did hit 27 home runs back in 2012. He is a career .262 hitter. Miller has started 62 games for the Cardinals over the last 2 seasons, owns a 26-18 record with a 3.33 ERA and 1.23 WHIP. Jordan Walden will head to the Cards as well with Tyrell Jenkins going to ATL. 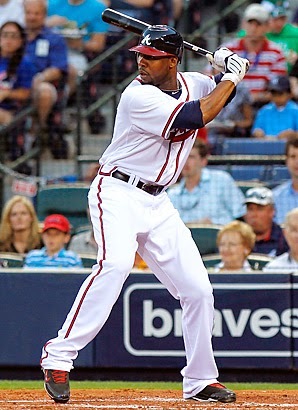 Heyward turned 25 this August, and has 5 full seasons under his belt. He hit leadoff for the Braves, which is not where he should be hitting in a lineup, so the move to St. Louis and a new slot in the batting order should boost his fantasy value. With Matt Carpenter atop the lineup, Hayward will most likely hit 2nd, or is Kolten Wong holds that spot, down to 5th or 6th before or after Yadier Molina. He is a career .234 hitter at Busch Stadium. The Braves have a huge hole to fill in right field now, with B.J Upton in center and Justin Upton in left. Miller just turned 24 years old, and will fill in Ervin Santana's spot in the Braves rotation. He has 2 career starts at Turner Field, 10.2 IP, 12 hits, 4 ER. Not much should change for Miller as far as fantasy value.